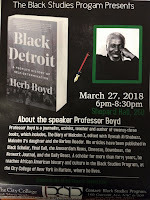 Herb Boyd recently appeared at the revered City College of New York (CCNY) in Harlem, NY to talk about his latest book, Black Detroit: A People’s History of Self-Determination. Published in 2017, Mr. Boyd has entered yet another book into the annals of black history with Black Detroit that covers slightly over 300 years - spread over 340 pages and 29 chapters. A prolific author and journalist, Mr. Boyd has an incredible body of work that includes 25 books in addition to countless news articles published over the years with many news outlets. 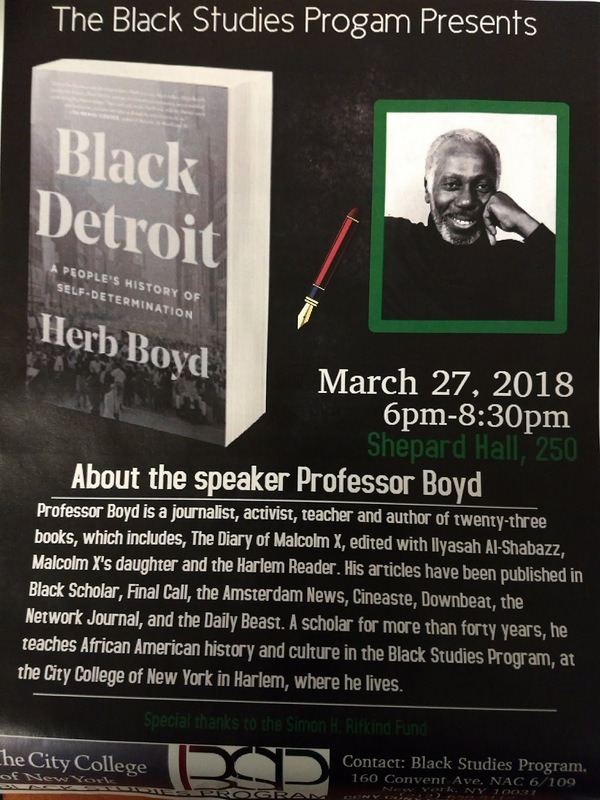 Mr. Boyd was joined by CCNY Professor L’Heureux Lewis-McCoy in a format that deviated from the typical stand and deliver to one that was more conversational and informal. For a little over an hour, their conversation covered a wide range of topics that included the book’s sub-title along with Detroit’s history, black press, music, economy, and radical black politics. 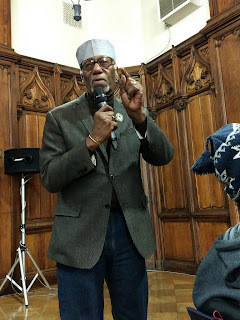 Mr. Boyd first spoke about the conversations he had with his mother, Katherine – “a veritable walking historian with an encyclopedia of knowledge about Detroit.” Utilizing his mother as a tremendous source of information, Mr. Boyd talked about the time they spent reminiscing about important dates, events, places and of course – the people who made Black Detroit what it was and is. “I found myself going back to the old neighborhood – that’s pretty much what I knew I had to do to write about Black Detroit. To go back to these black neighborhoods and talk to some those individuals,” explained Mr. Boyd. 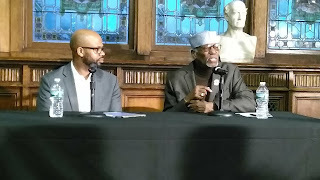 But he also mentioned a connection – a special connection he made with the people that enabled him to write Black Detroit. In response to questions from Professor Lewis-McCoy, Mr. Boyd went on to drop nuggets and kernels of information throughout the evening. For instance, the existence of slavery in Detroit as well as the Underground Railroad where Detroit served as the last stop. Mr. Boyd explains: “This was a path that was carved out by individuals who were escaping the atrocities of servitude in this country,” Or when he talked the racial tensions and hostilities that framed the racial riots of 1943 and 1967. Or how automobile manufacturing was not only the “lifeblood” for Detroit’s economy but for the nation as well. Or when he unveiled that before Detroit was known for making automobiles, Detroit was at one time, the stove-making capital of the world! Or when he talked about not only how the music and Detroit was “inexplicably connected” – but how the music was more than Motown. Here, Mr. Boyd pointed to the world class musicians who studied and played a wide range of music - rhythm & blues, blues, be-bop and of course, jazz. He explained that folks came to Detroit because of the Renaissance taking place there – similar to the Harlem Renaissance. “It was more than just New York – there was a renaissance happening all over the country in varying degrees.” He pointed out that the Harlem Renaissance was also replicated in cities such as Pittsburgh and Toledo. 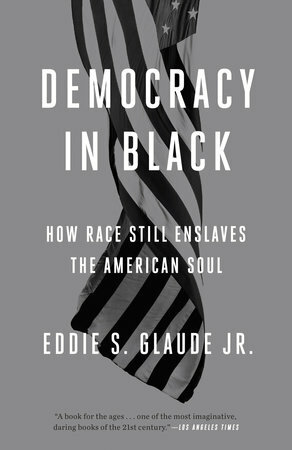 Democracy in Black: How Race still enslaves the American Soul, written by Princeton University Professor Eddie S. Glaude has been on the bookshelves for about two years now. The book was released January 2016 just as President Obama entered his last year in the White House. In this book Glaude confronts the American democracy project and its contradiction – a contradiction seemingly rooted in the treatment of African Americans versus the American ideals of freedom, justice and equality. Glaude notes the contradiction and writes: “People could talk of freedom and liberty and hold black slaves.” As the subtitle suggests, this is a book unmistakenly about race and white supremacy in America. He challenges American democracy by linking this contradiction to white supremacy as the driving force behind what Glaude describes as the value gap, opportunity deserts and racial habits. Glaude also writes about the concept of disremembering or active forgetting – a critical component to not just widening the value gap but advancing white supremacy. Democracy in Black is a clearly written polemic that’s easy to read without the dense academic prose. Glaude attempts to make a case about the far reaching implications of this American contradiction with anecdotes, historical and contemporary examples along with his personal observations and experiences. You will find featured prominently throughout the book, quotes from James Baldwin, Martin Luther King and W.E.B Dubois that Glaude uses to grapple with his thoughts on white supremacy, the value gap, opportunity deserts, and racial habits. Obama where he writes, “Obama refuses to engage directly the crisis sweeping black America.” Or when he says Obama was supposed to be more – he was supposed to be different, “He was ideally our black progressive antidote to the conservative policies of the Bush years.” Such provocative statements are certain to draw condemnation from Obama’s supporters who fiercely defend him at all costs. There’s Glaude’s prescription for presidential politics where he advocates for essentially a protest vote where there’s no vote for the presidential candidates or simply left “blank” – hence the “Blankout” strategy. With a hint of naiveté, Glaude reveals his belief in America when he talks about remaking American democracy. He says a revolution of value is needed to transform the value gap and racial habits, and there are three ways to accomplish this - with changes in how we view government, black people and to what truly matters as Americans. Yet in this context, Glaude did not include his views around “respectability politics” or provide a more expansive analysis on structural racism. 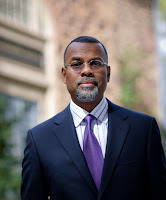 Although Glaude outlines some meaningful remedies to remake American democracy – there’s this muted dismissal of the realities around those interests or issues that inherently generates opposition. Whether the issue is poverty, minimum wage, healthcare, crime, or even support for the Confederate flag – there will always be a clash of two sides. 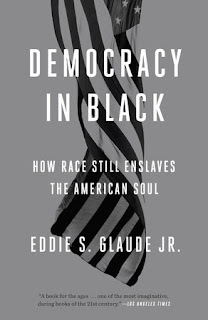 Nevertheless, Democracy in Black is definitely worth the time to read as Glaude makes more than a few points throughout the book that argues for a new way of thinking. The Ferguson protests, the Black Lives Matter movement, and the Forward Together campaign - the politics of disruption are just a few examples that he uses as being informed by taking a more radical approach to transforming American democracy. Just as important is Glaude’s inclusion of the need to transform the current state of black politics from its limited and narrow state to one that is more expansive in political expression. Like Glaude says – something has to change. Published by Brooks Publishing Group. All Rights Reserved. © 2013-2015. Picture Window theme. Powered by Blogger.